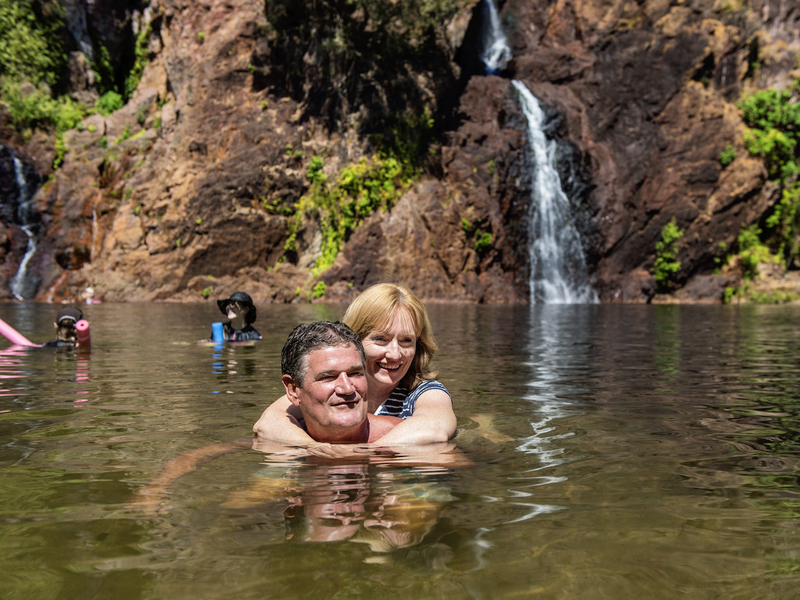 Swim underneath stunning spring-fed waterfalls that flow all year round, relax in crystal clear rockholes, try some of the walking trails through native woodlands and monsoon forests, be amazed by the fields of magnetic termite mounds and visit historic ruins. 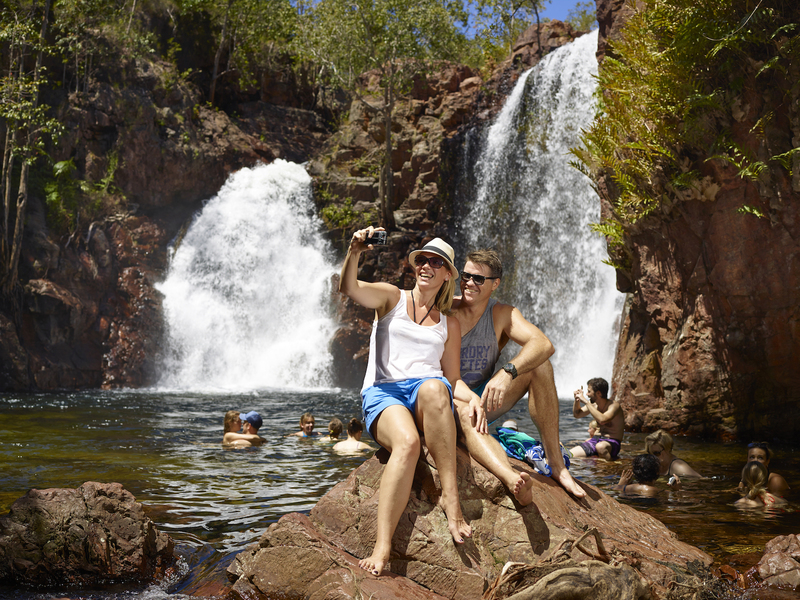 No wonder Litchfield National Park is the local’s favourite. And guess what? It used to be cattle country. 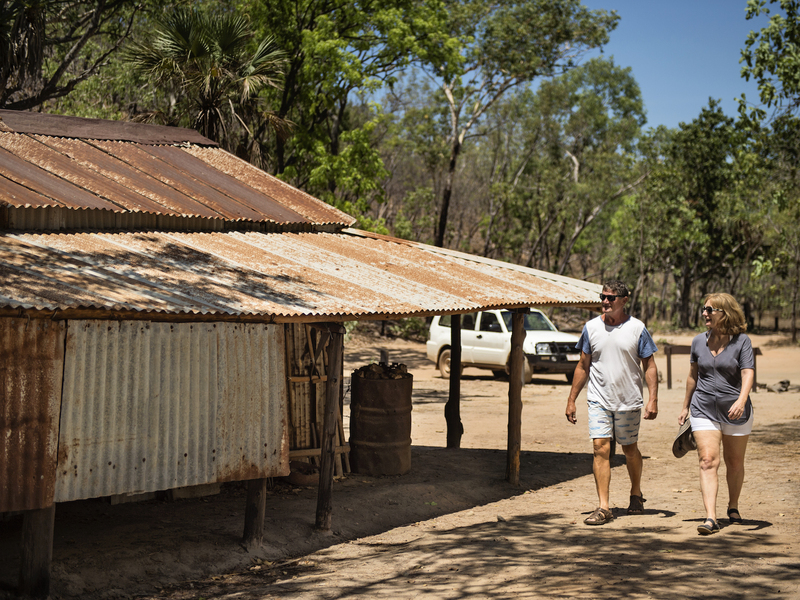 It started in 1984 when the Townsend family initiated talks with the NT Government to create a Territory Park. 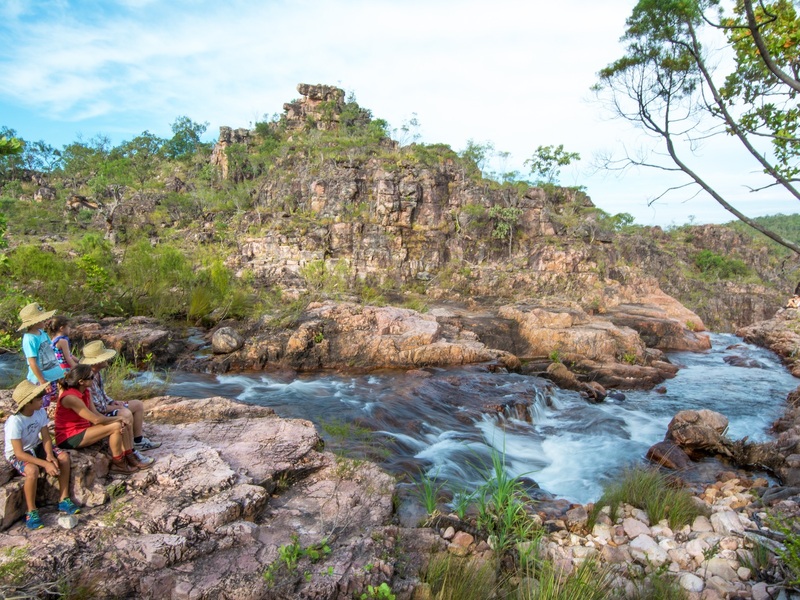 The following year a section of their Stapleton lease was surrendered to the Conservation Land Corporation and in 1986 was declared Litchfield National Park. Since then the park has doubled in size with the addition of Tipperary Station and parts of Camp Creek Station. The park was named after Frederick Henry Litchfield who was a member of the 1865 Finnis expedition who had been sent to the Territory to find areas suitable for settlement. One of mother natures finest works is free to enter and easy to explore. A 1.7km creek walk from the car park to a hidden waterfall. Well worth the effort. Seasonal 4WD track with creek crossings. Built by the Sargent family in 1929 and abandoned in the early 1960s, the Blyth Homestead, which was also the location of an old tin mine, now stands as a reminder of the tough conditions faced by the pioneers in remote areas. The home was eventually sold by the second owners to the Territory Government to become part of Litchfield National Park in 1985. Standing before the home, you can appreciate the tough conditions faced by the pioneers in remote areas. It has recently been restored, and an interpretive display presents the trials and tragedies of this remote site. Access to the homestead is seasonal and by four wheel drive only. Wangi Falls is one of Litchfield’s most popular and easily accessible attractions. It is open all year round; however swimming is not always possible due to water levels. This place is simply magic in the Wet Season! The Wangi Falls Walk (start at the Wangi Plunge Pool) is approx 1.6km return, 1 hr in duration, level (moderate, however steep in sections). This walk is to the top of the falls and offers a great opportunity for photography. Wangi Falls is 2WD accessible and has toilet facilities, a kiosk and barbecue facilities. Open all year round, the falls cascade over two high escarpments into a distant, deep, plunge pool. The bottom of the falls is protected as it is home to several colonies of rare Ghost Bats and Orange Horseshoe Bats. The Tolmer Falls walk (start at Tolmer Falls lookout), the 1.6kms return walk, (45mins duration), however, it is uneven and rocky in parts. Access by sealed road, carpark, toliet and picnic areas. A series of rock formations that could be mistaken for ancient ruins. This can be a hot walk so go early or late in the day. A rough 10km track that can take up to 30 minutes to drive. 4WD only, dry season only. Florence Falls is a spectacular double waterfall set amid the monsoon forest which cascades into a swimming hole. The lookout from the top provides a panoramic view. Open all year round, there is a 130 step staircase down to the swimming area. There is also a viewing platform at the top of the falls if you do not wish to swim. Shady Creek Walk (from Florence Falls) is an easy 1km walk each way (30mins duration). Access by sealed road, carpark, toilets and picnic areas. 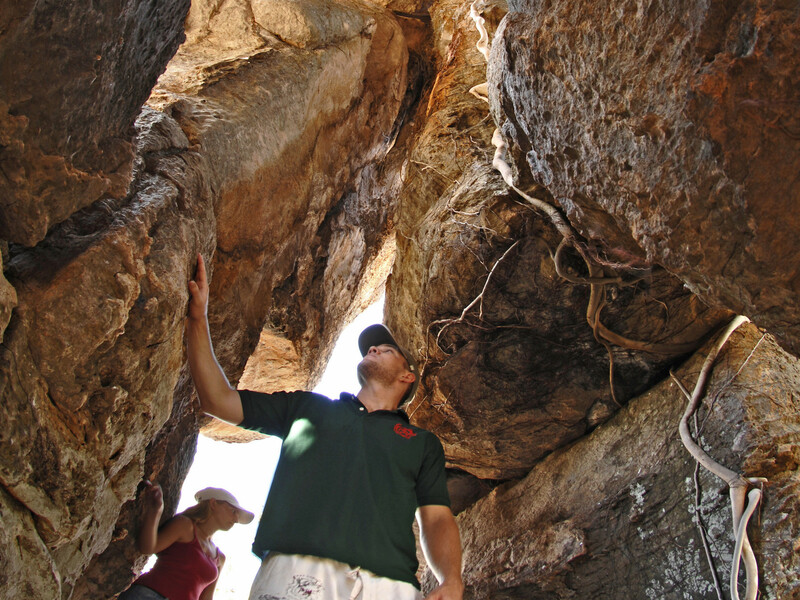 Open all year round, Buley Rockhole is a series of waterfalls and rock-holes. Find your own spot to swim and relax. 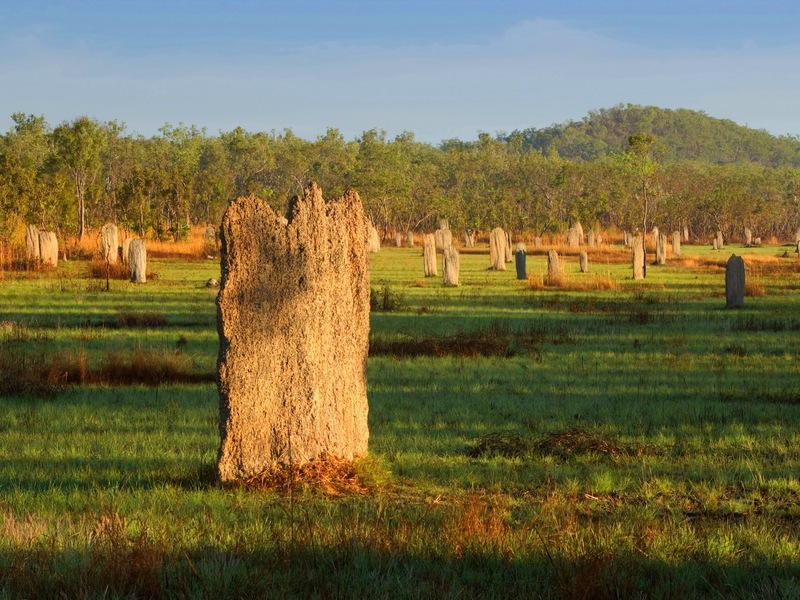 Unlike the usual Cathedral Termite Mounds you see throughout the north, these gravestone looking high-rises are architectural feats. You will be amazed at how they are aligned north to south to minimise the exposure to the sun. Access by sealed road, carpark and toilets.